Rustic casual design makes this square end table a standout despite its simplicity. 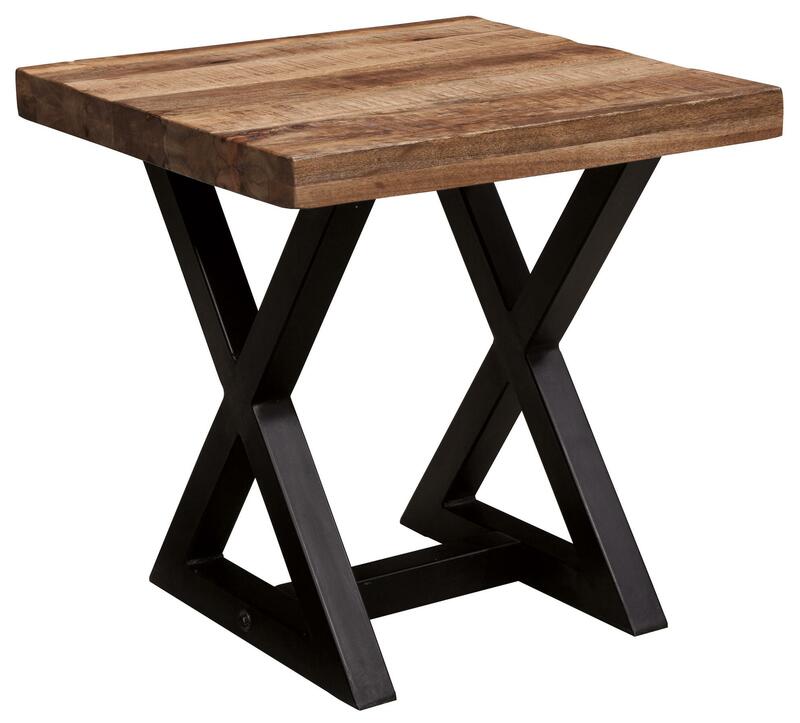 Featuring a mango wood top in a light natural finish, the black rustic finish of the X-braced base creates a two-tone style with ample charm. For a modern farmhouse look to a vintage inspired decor, this end table will be a fantastic accent in your home. The Wesling Square End Table with Mango Wood Top & Metal X-Braced Base by Signature Design by Ashley at Michael's Furniture Warehouse in the San Fernando & Los Angeles area. Product availability may vary. Contact us for the most current availability on this product. The Wesling collection is a great option if you are looking for Relaxed Vintage furniture in the San Fernando & Los Angeles area. 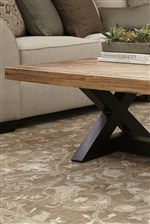 Browse other items in the Wesling collection from Michael's Furniture Warehouse in the San Fernando & Los Angeles area.